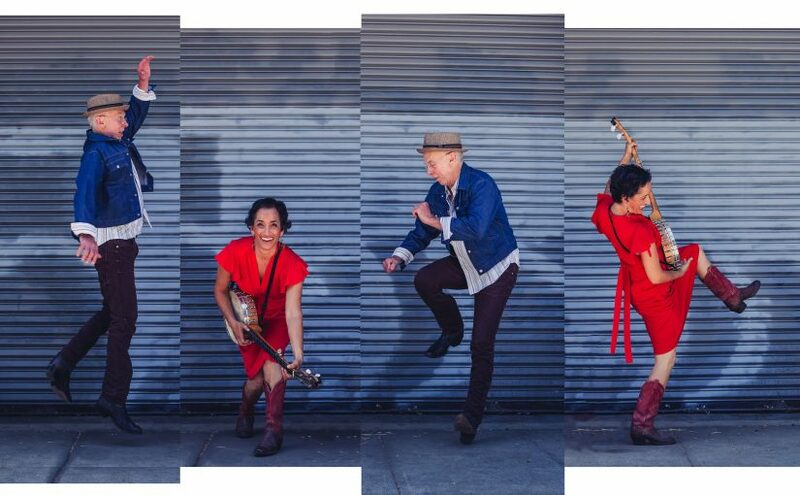 (Note: tickets will be available at the door for tonight’s concert: $22/$20/$10, payable by cash or check) Innovative musicians/dancers with a quirky neo-trad soul, Oakland, California-based Evie Ladin & Keith Terry throw down original folk songs and deep interpretations of old songs, with the kinetic thrill of percussive dance. A prolific singer-songwriter, percussive dancer and square dance caller, the polyrhythmic heat of Evie’s clawhammer banjo has been heard from A Prairie Home Companion to Celtic Connections, Lincoln Center to Hardly Strictly Bluegrass. Trained as a jazz drummer, Keith Terry brings tonal percussion to stand-up bass, is a renowned percussionist/rhythm dancer, the founder of the International Body Music Festival, and a collaborator with a host of inventive performers from Bobby McFerrin, Tex Williams and Robin Williams, to Turtle Island Quartet, Charles “Honi” Coles and Bill Irwin. Evie & Keith perform for all ages, and are skilled educators, often offering workshops and in-school activities while touring, from elementary through professional level training on a host of topics. In 2016 they celebrated the release of the CD Jump the Fire with the Evie Ladin Band, a tight trio whose 2012 eponymous release won Americana Album of the Year from the Independent Music Awards. They are also in creative development with a theatrical, international collaboration, premiering in Paris, 2016: BODY MUSIC see music/hear dance. 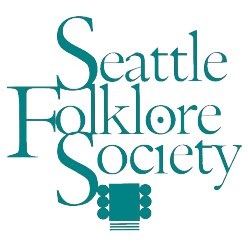 Evie will also be leading two workshops on SUNDAY Oct 14 at Frontier Home (2121 17th Ave S, Seattle Washington) See the Frontier Home Facebook events for more information on the workshops. Advance tickets are available from https://sfs-evie-ladin.brownpapertickets.com or 1-800-838-3006, and at our concerts prior to the show. Ticket sales begin approximately 60 days before show date.